Fit the grommets to the screen - this is best achievedfrom the back of the screen blade. 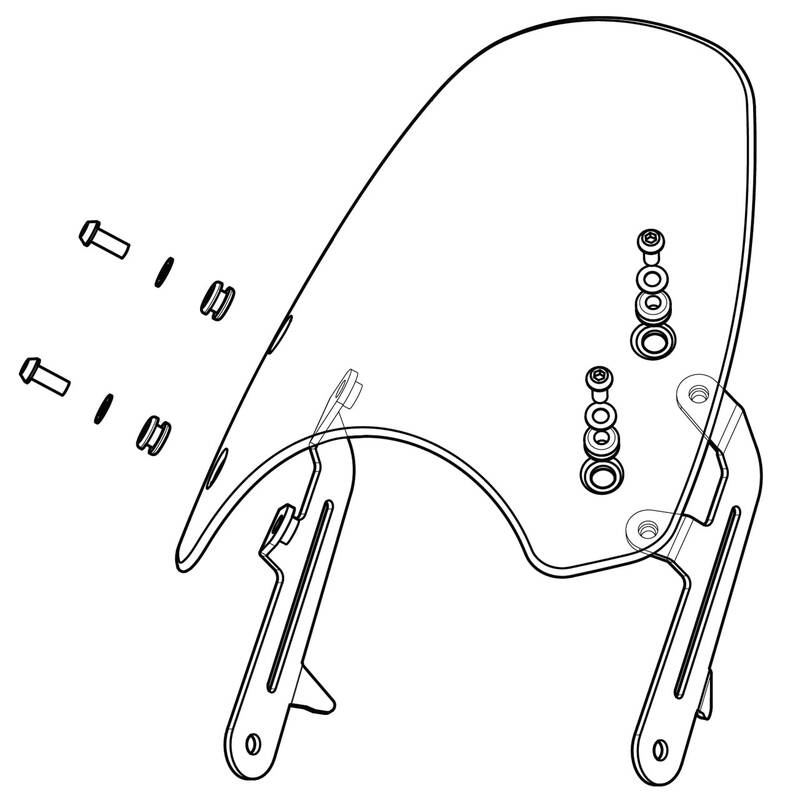 Remove the headlamp unit from the bowl by unscrewing the 4mm hex screws either side of the headlight bowl. Undo the 12mm nut and remove the bolt which holds the headlamp to the right hand headlamp bracket. Fit the right hand screen mounting bracket on the outside of the headlamp bracket and fit the supplied M8 x 40mm screw. Refit the original nut and tighten. Ensure that the triangular step at the back of the screen mounting bracket is resting fully on the headlamp bracket before tightening. Fit the top two machine screws. Once everything is in position, gradually tighten all the screws evenly until they are seated on the brackets. Now refit the headlight unit.